Moved by the sight of the many aged left jobless, homeless and disabled by poor working conditions especially in the mines, Mr. Martin Maloney, a business man from Philadelphia, resolved to use his fortune on their behalf. As a memorial to his deceased parents who settled in Scranton but were natives of Ballingcary, County Tipperary, he had plans drawn up for a Home which could house 100 aged persons. In his search for an answer to just what type of care could be provided, he had the good fortune of coming into contact with the Little Sisters of the Poor who had a home for the aged in Philadelphia. Their set-up, he thought, was exactly what he had in mind, and losing no time he presented his request to the Superiors in France, but was advised that the Congregation could not assume the responsibility of staffing another home at that time as vocations were not plentiful enough. This in no way disconcerted Mr. Maloney. His unfaltering faith overcame every obstacle, and on May 20, 1907, all was in readiness for the blessing of the cornerstone of Maloney Home. 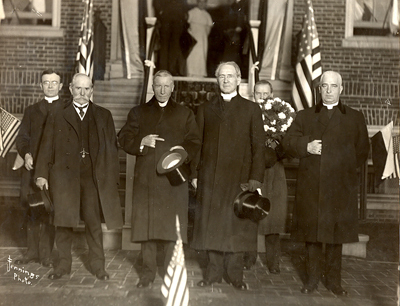 Happy to see his ardent desire to have a home for the aged in his diocese, Bishop Hoban presided over the ceremony of inauguration of June 24, 1908. 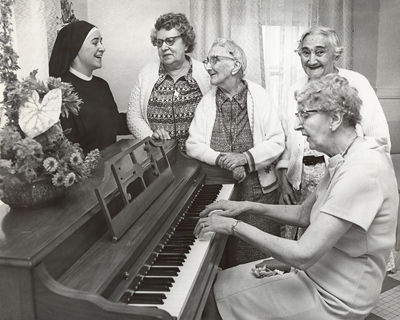 Maloney Home was the first Catholic Institution to care for the elderly in this area. Five Little Sisters comprised the first community and though difficulties were not lacking, with the help of the good people of Scranton, they persevered in their efforts to love and serve the aged of the area. 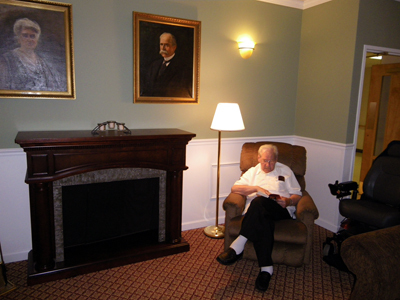 The lounge at Holy Family Residence still bears the name and portraits of the founder of the Maloney Home and his wife.